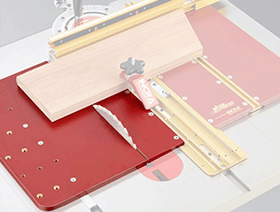 Use this panel as a replacement for the "drop panel" that's cut during the initial setup of the Miter Express. The drop panel can easily be replaced when installing the Express on a different saw or switching the sled to the opposite side of the blade. 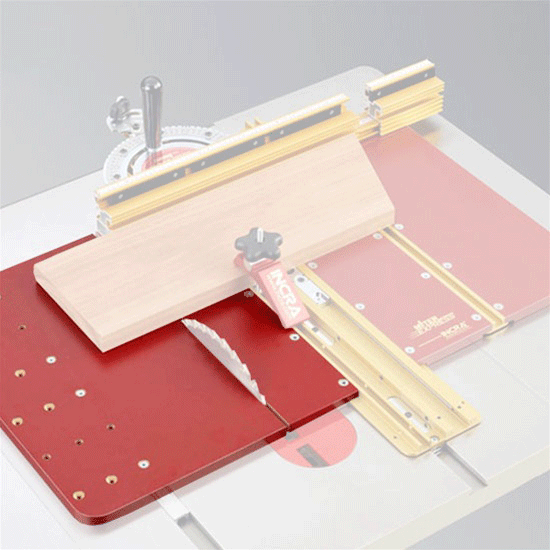 The replacement panels can be swapped quickly enough that you might want to keep extras on hand to use as an "insert system" for the area around the blade - cut an extra one for a different-kerf blade, a frequently used blade tilt angle, or cut one extra wide to allow clearance for a wide dado set.